A recent study performed by King’s Fund researchers discovered a disturbing trend. Hundreds of thousands of elderly citizens in Britain have ended up in hospital emergency rooms as a result of poor home care. According to The Daily Telegraph, 2.3 million overnights stays in the hospital could have been avoided if community healthcare and social services programs were as safe and effective as those in Britain’s top 25 percent. In addition to the physical injuries caused by poor quality home care, the financial impact has been significant as well. 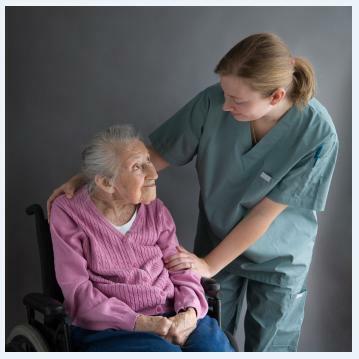 With approximately 7,000 hospital beds filled year-round, $723 million has been spent caring for seniors with home care-related injuries and illnesses. Jo Webber, deputy director of policy at the National Health Service, comments on how this recent report emphasizes the need for change. "We know in many cases hospitals may not be the best place for older people. They can often receive more appropriate and tailored care in their own homes and in community settings." With the help of a sophisticated home care system and home care program such as ClearCare, seniors can enjoy safe and secure care at home. Seniors that have fragmented care with little communication with the rest of the care team account for most preventable incidents. In stark contrast, ClearCare’s home care system and home care software mandates good communication – resulting in better quality care. Fewer accidents take place at home when a reliable home care system is in place. Caregivers that use a cloud based home care software, such as ClearCare, have access to cilents’ important personal information – such as medication lists, medical history, allergies, and emergency contacts. Another reason many seniors end up in the emergency room is due to dehydration or poor nutrition. Such negligence is easily avoided by tracking such tasks in a home care system. When caregivers clock into a shift, they are reminded of each daily task – such as preparing breakfast or administering medications. Caregivers are required to update their home care software so that the agency – as well as family members – can see that important activities have been completed. Help keep your loved ones out of the emergency room by working with dependable providers and shopping for agencies that use a home care system like ClearCare.